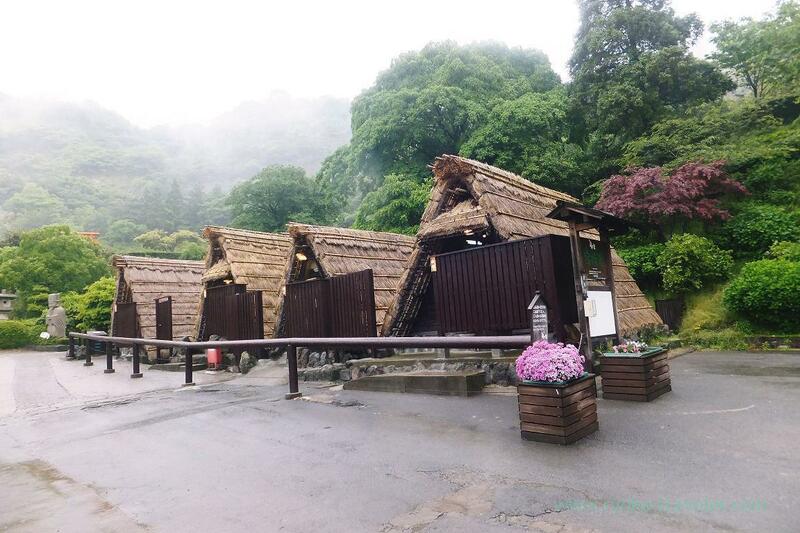 Thanks to the taxi driver I met at Kannawa onsen, I could complete my wish in Oita. This is the last post about my trip to Oita. After I walked to Jigoku area again and finally arrived at there. 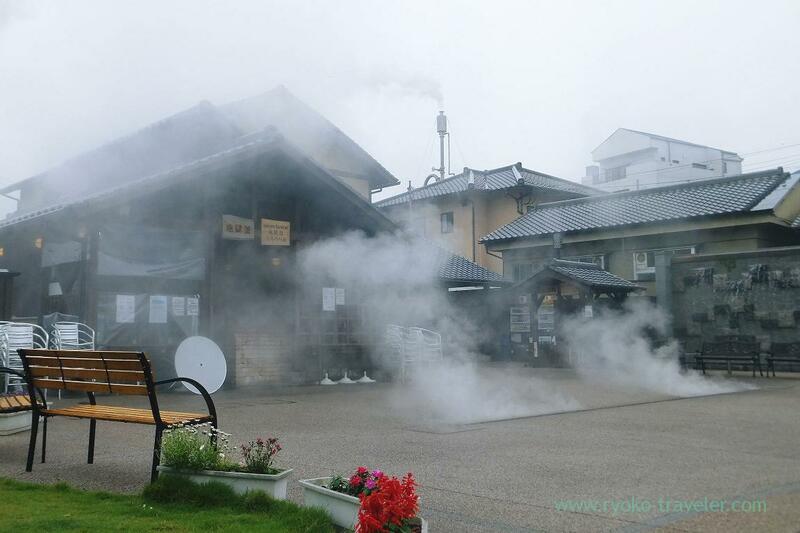 Kannawa Onsen town is steaming town ! 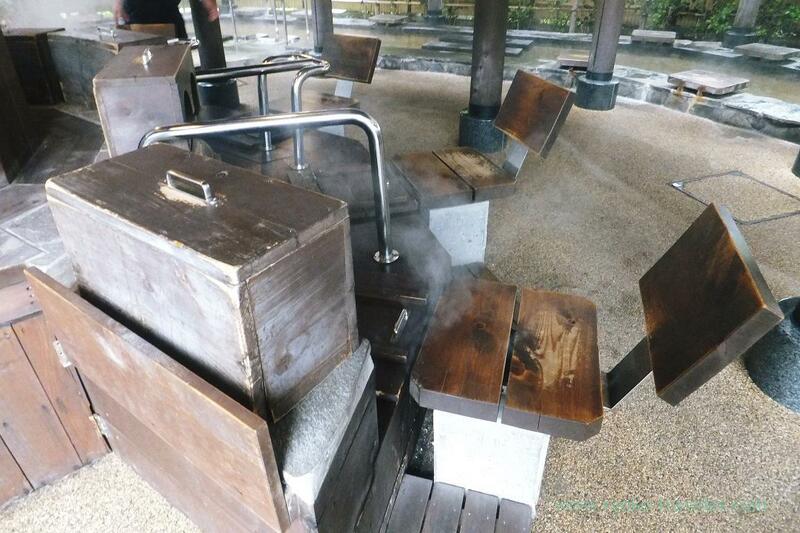 Steams by onsen resource everywhere. 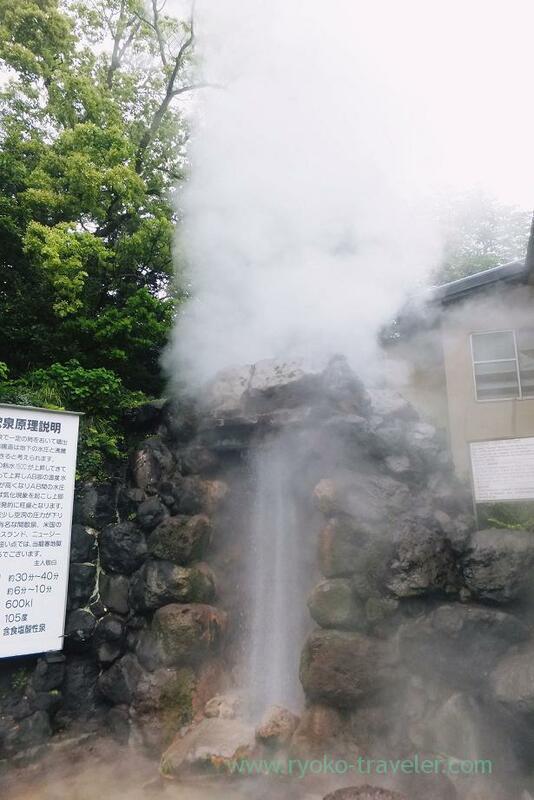 Not water, but hot onsen resource ! 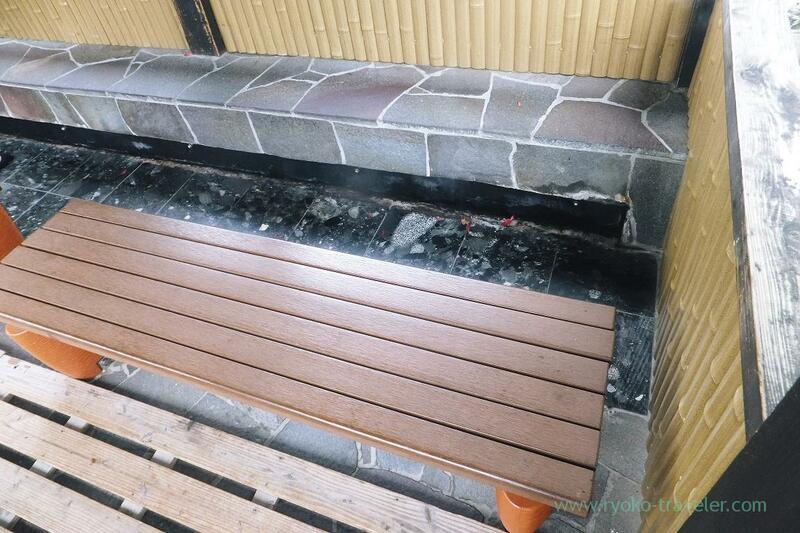 There are many spots that use this steams in Kannawa Onsen town. I tried ! Very hot ! No ! 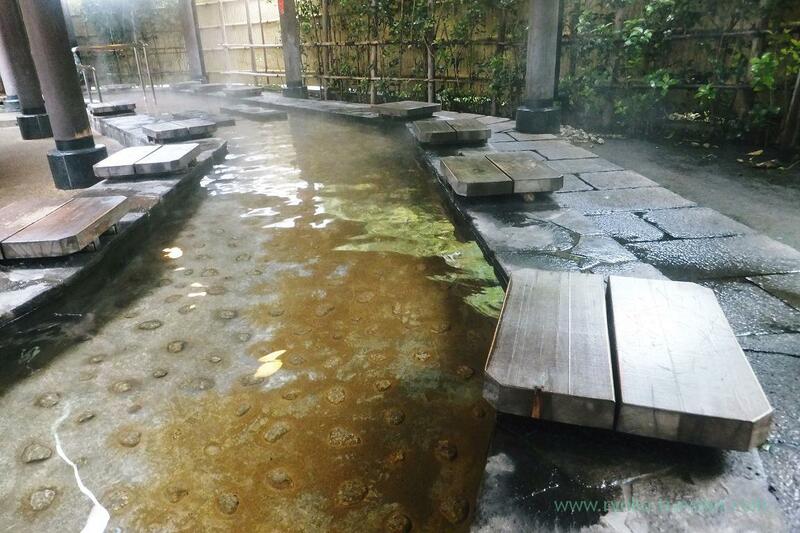 You can enjoy Kannawa Onsen resource at lots of facilities by free of charge. FUN ! All seven hells are surrounded by walls and we can’t see inside from outside. We have to pay 300 yen for seeing each hells. I’ll never go there twice. If those are free of charge, I’ll take into account. Umm. I really cannot understand why can they require tourists for money to see it. Well, especially people living in Kanto region like me mostly saw Owakudani in Kanagawa at school trip and hiking. It is the “hell”. Overwhelming view there. Compared with it, Beppu jitoku is too small. Chinoike Jigoku is just small red puddle. 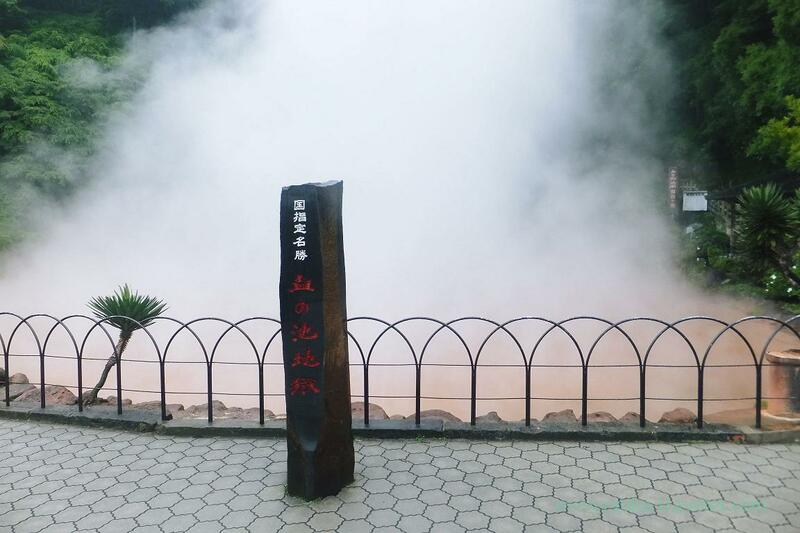 If you were disappointed with Beppu Jigoku before, go to Owakudani by all means after eruption warning is cancelled. much guests that day called me and chatted something. He advised me to go Chinoike Jigoku and Tatsumaki JIgoku and brought me there. He talked to me something about Jigoku spots. He tought me that only two “jigoku”is natural. And another is artificial for gathering tourists. And every jigoku is run by different people. Those are privately-owned. Chinoike Jigoku and Tatsumaki jigoku is natural thing. And it is not red like blood. Orange …. 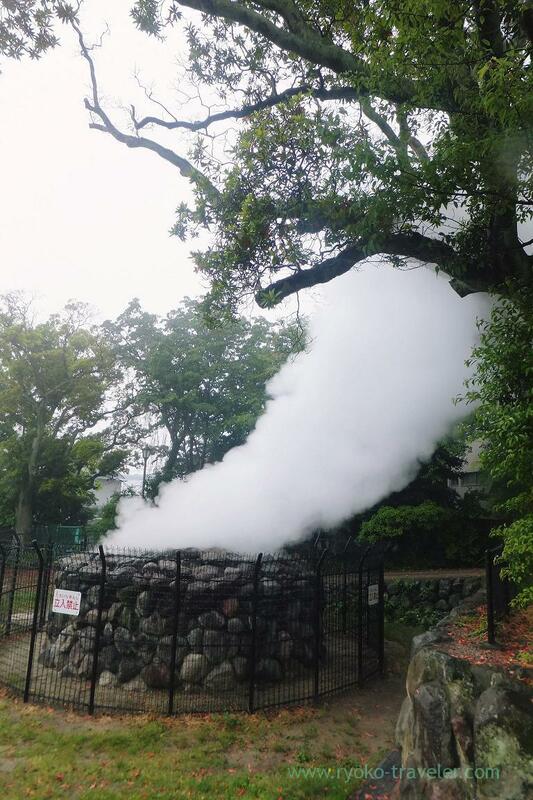 The rock stopped geyser spouting out, so it lacked punch. It never shows us hell….. 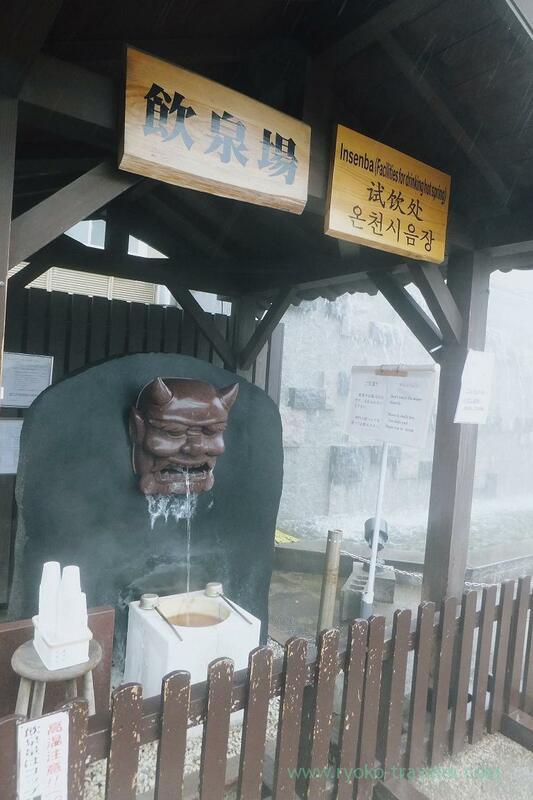 I want to visit Kannawa onsen again, but there’s no need for me to visit Jigoku again. 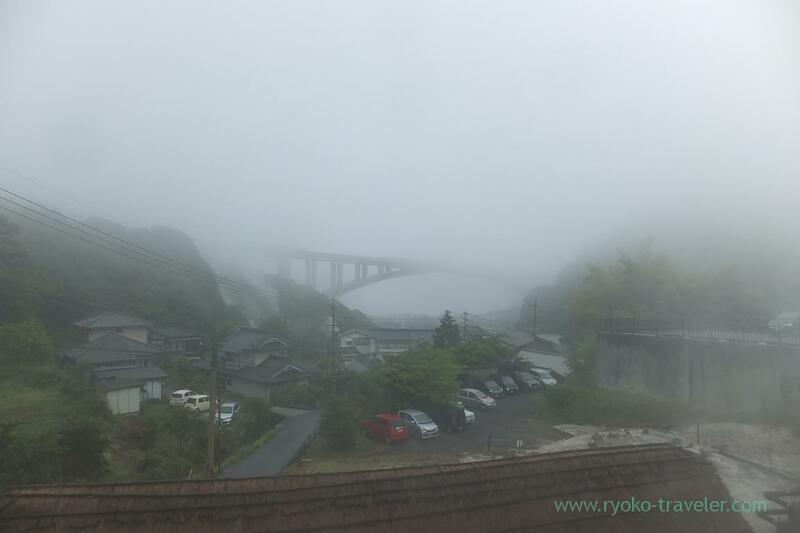 And after that the taxi dropped off me at Myoban onsen that I gave up going at that trip once because there was no time ! Yay ! At first I thought taxi fee is expensive for my trip, but I was really satisfied with my trip as a result. 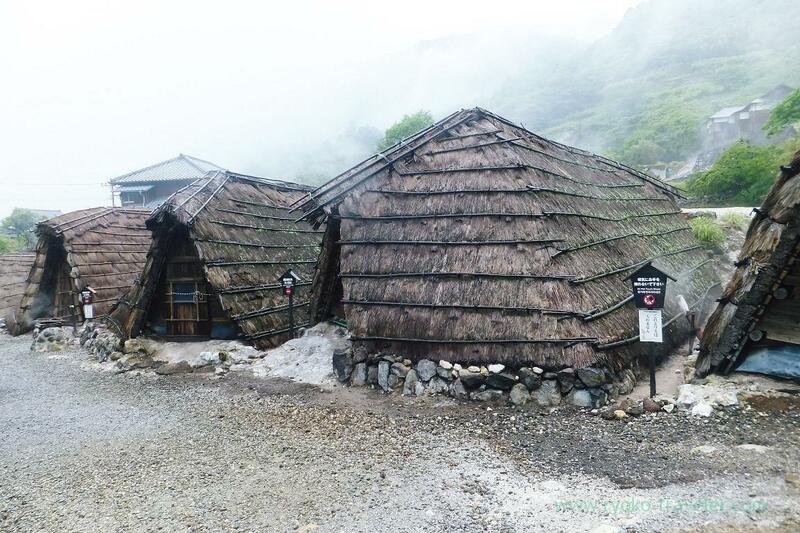 I could visit both jigoku and myoban onsen ! 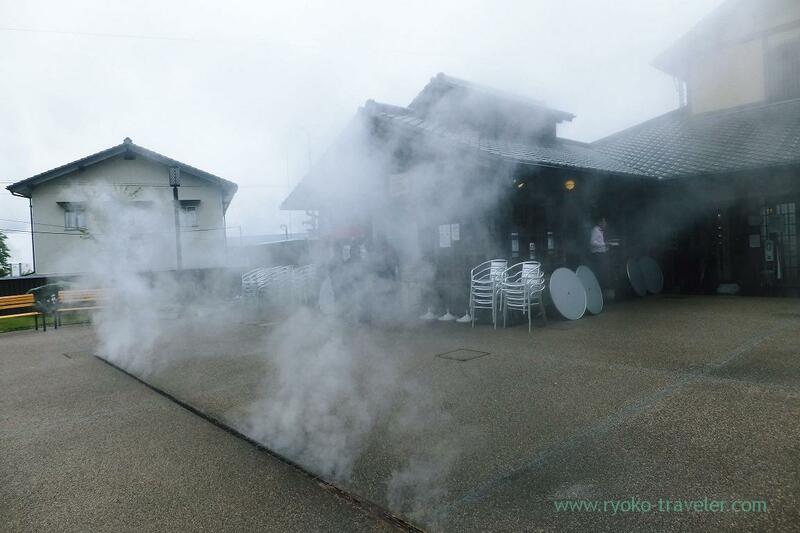 Myoban onsen was far the best onsen that I took at this trip for three days ! 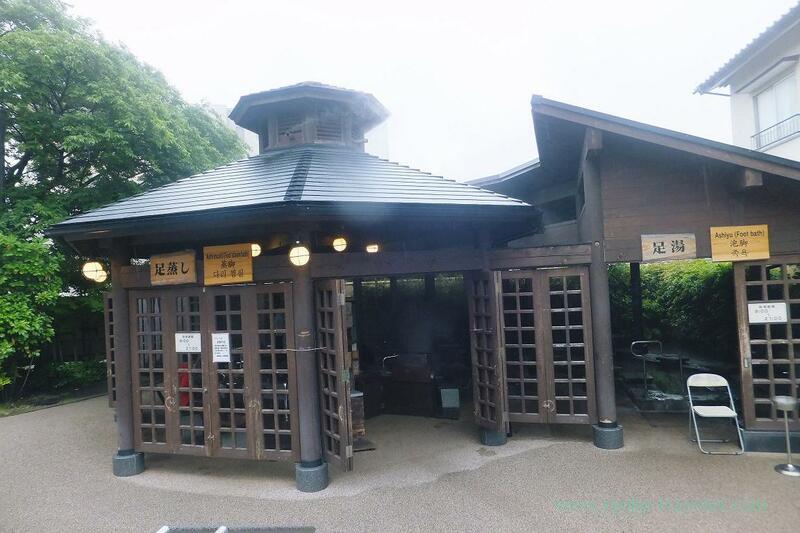 I walked around the onsen facility to kill time till the bus time. 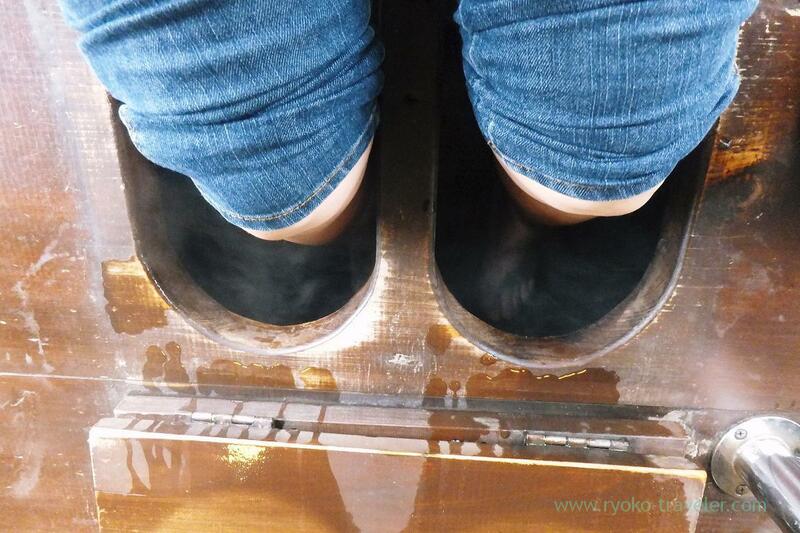 Yunosato is very popular as their high quality technique of yunohana (hot-springs mineral deposits) extracting. 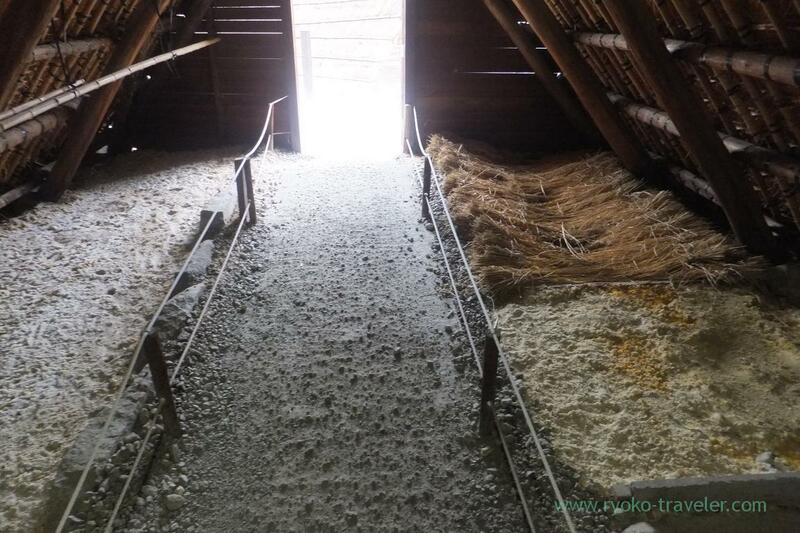 And they exhibit the method like this. It is free of charge. 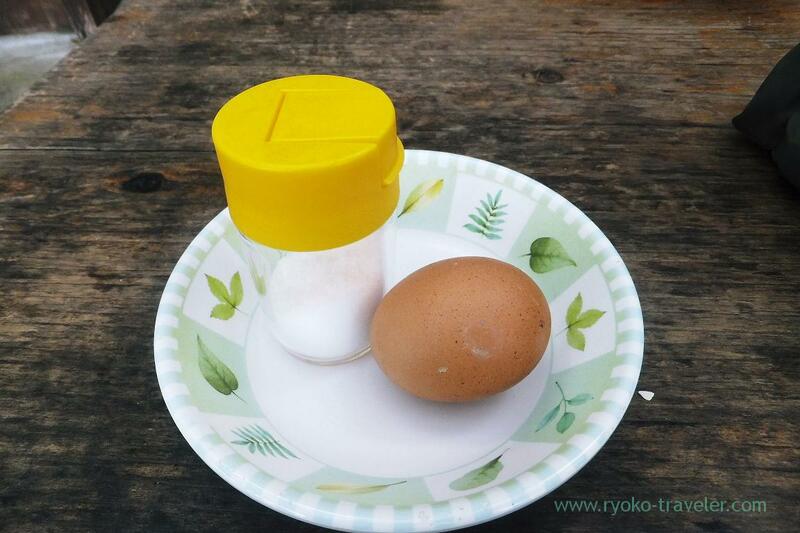 Onsen tamago at Myoban Yunosato after taking bath (100 yen). 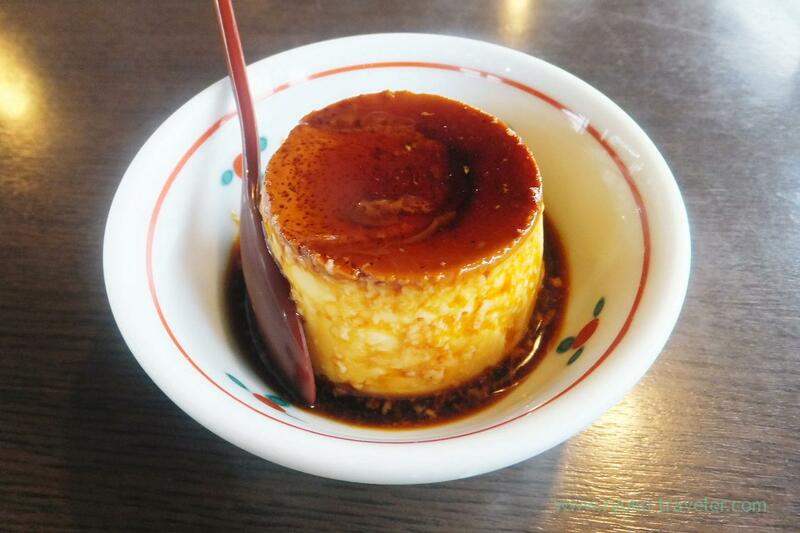 Myoban Pudding at Okamotoya while waiting bus (in front of the bus stop). I went to Beppu station by bus and went back to my accommodation, picked up my baggage from the locker. And I took a rest for a while at lobby. And then I went to bus stop to Oita airport. 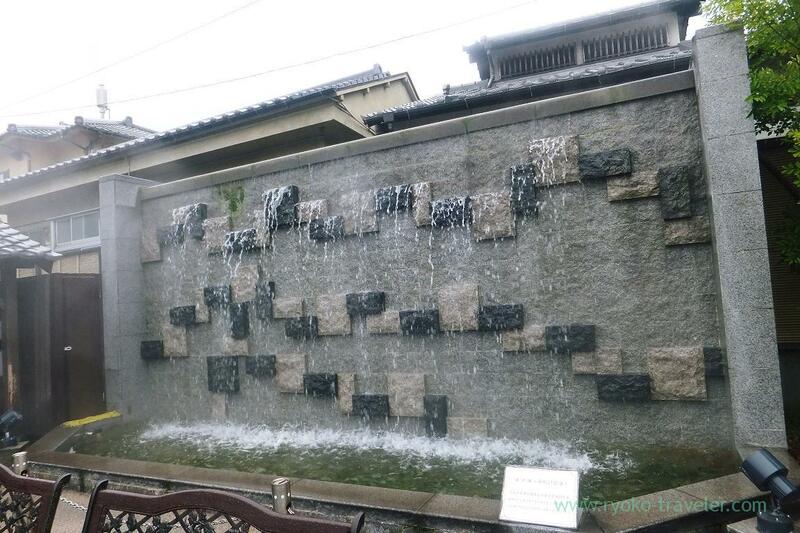 I stayed at Oita two nights and I found it was very good place to visit. I want to go there again soon. It was short trip but I visited some places, so I couldn’t see much at Beppu and Yufuin. If I could, I want to go there within this year.